1. Start of by peeling your bananas and cutting them in half. Insert a popsicle stick in the middle of each one. 2. Place a piece of parchment paper on a baking sheet and freeze bananas for 30 min. 3. Remove bananas from freezer. Melt your chocolate candy melts as directed on bag. 4. Dip each banana into the chocolate mixture and place back on baking sheet. 5. While the chocolate is still wet, add two chocolate chips to the banana to make the eyes. 6. Put bananas back in the freezer/refrigerator for another 15-20 min and after that they are ready to eat! These look so cute! What a great idea! These are so cute! I love how easy they are to make.... perfect to make with little ones. Such an easy and fun recipe! I think I am gonna try this year! 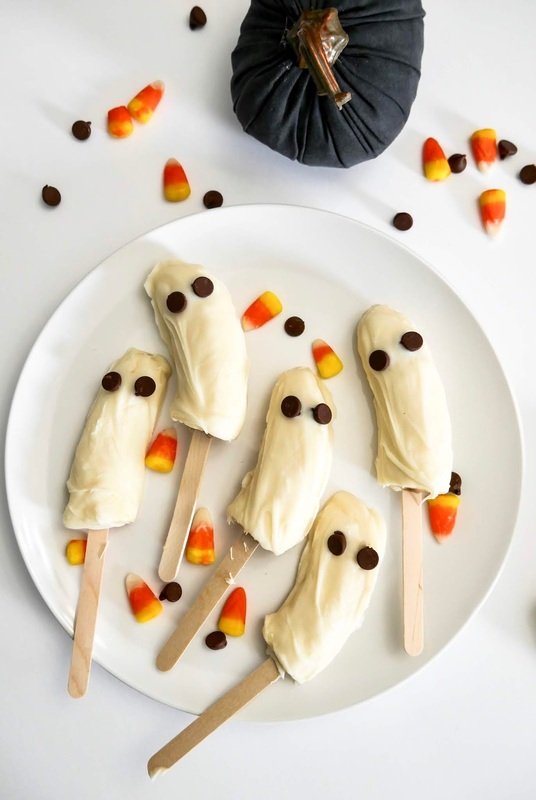 These popsicles are so cute! I will definitely give them a try. They just look so cool that i got an urge to try asap. I am not much of a Halloween person but i am going to try this . Aww! 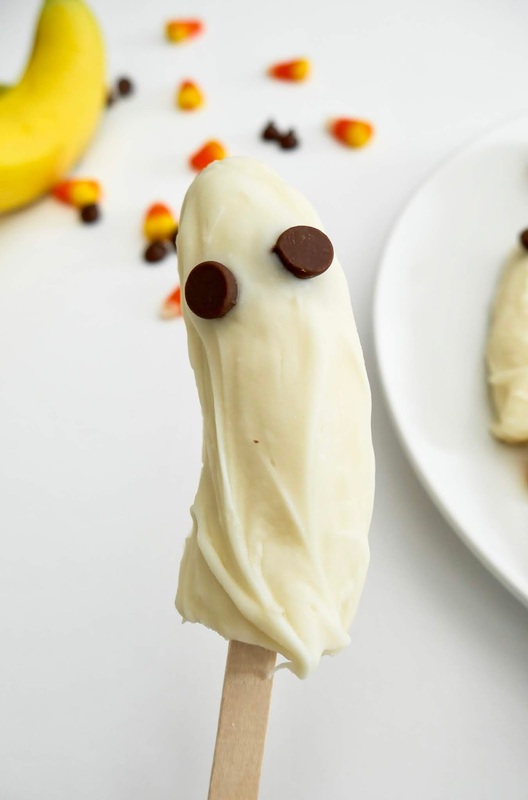 these Halloween banana ghost looks so good and cute. Kids will surely love this. These are so cute! And such an easy recipe! 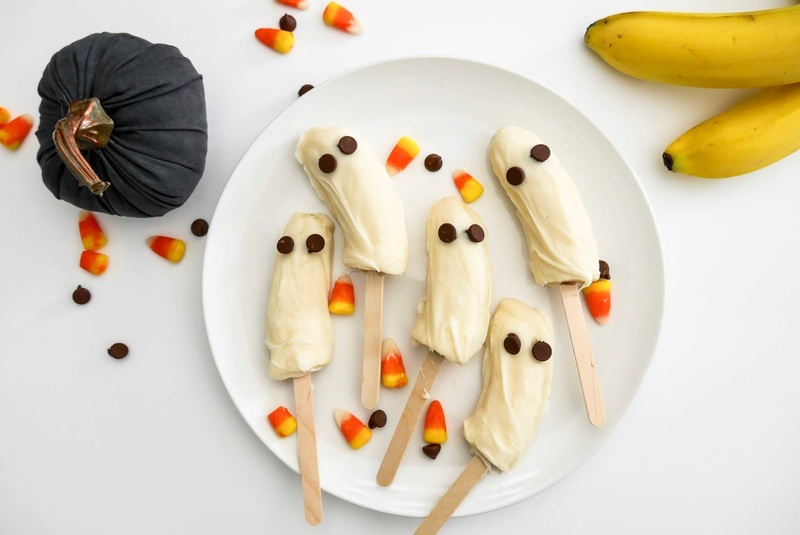 So cute, thank God I got bananas in the house now all I need are some chocolate and I am good to try this. These are such a cute idea! My son loves bananas, so I am sure that he would love these. I'll definitely have to try these out for him. Thanks for sharing! Halloween is near and my kids are so excited about it. 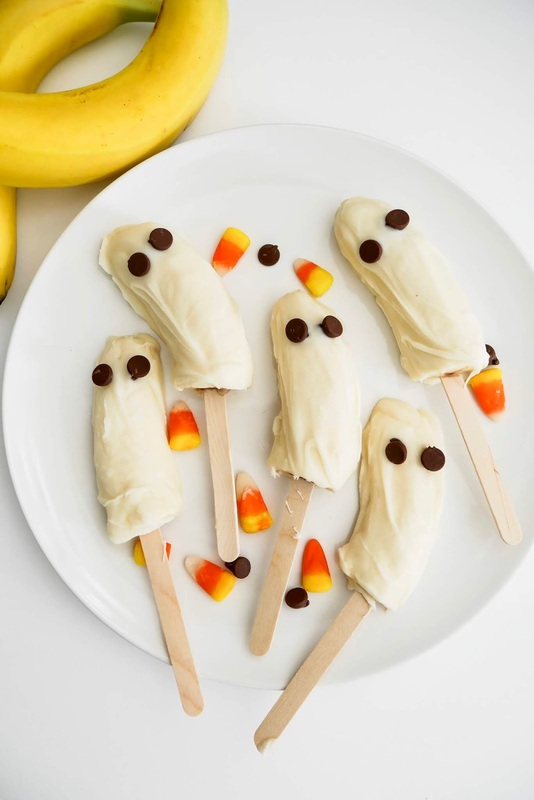 These banana popsicles look so yummy to try at home. It looks delicious. And the recipe looks interesting. I would love to try it out. My kids are teens now, but I'm so making these! :) Even easier than cake pups, and YUM! Those are fun. I love that they are so easy to make! Looks soooo cute! and absolutely adorable. I think it's my option for Halloween! Easy steps and procedures which I think everyone should check out! Thanks for the piece. These are so cute! Also look really delicious. The perfect treats for Halloween. This is so cute. Will make this with my daughter for halloween.